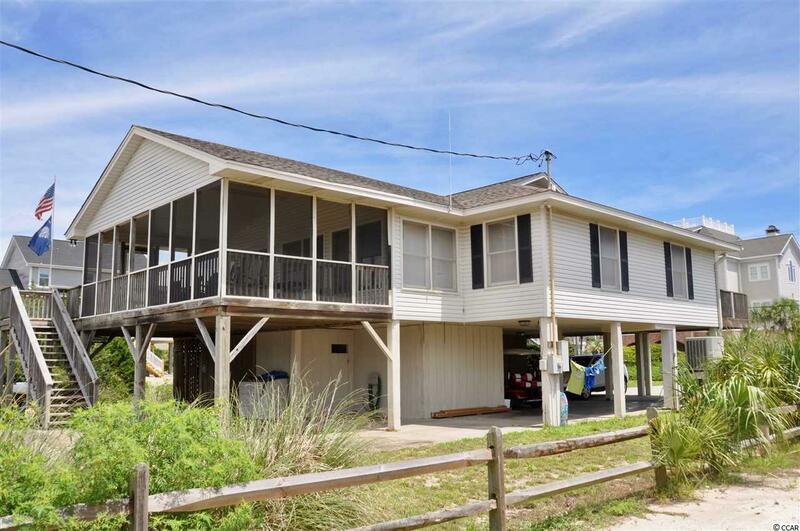 1734 S. Waccamaw Dr. is a fantastic second row beach home located directly across from a beach access. This is a huge asset whether your purchase is for personal use or rental use. This home has never been rented and is a fully furnished 5br/3ba home. 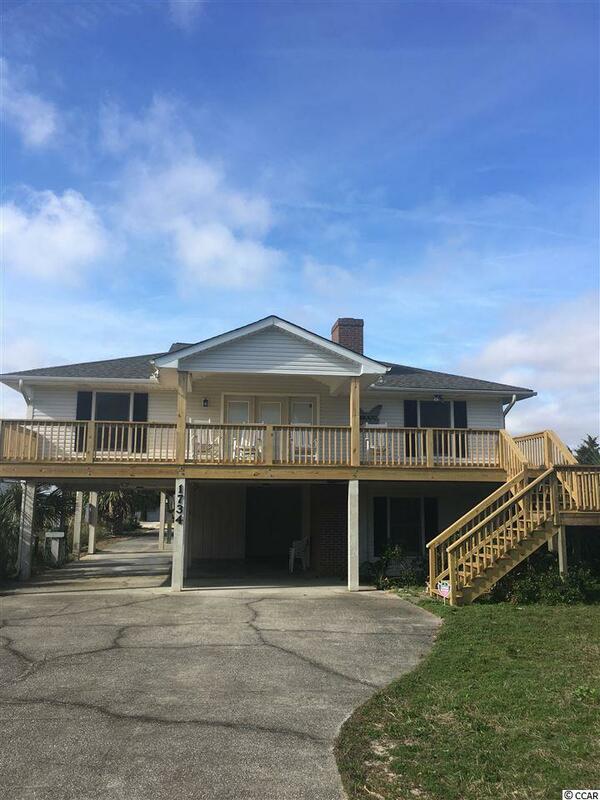 The upstairs includes 3 bedrooms (master upstairs) & 2 full baths, a full length front porch (10x26ft) , a Carolina Room (8x26), a huge covered back porch (14x26), wood burning brick fireplace, beautiful wood dining table. The downstairs area includes two bedrooms, one full bathroom two storage room areas, a separate laundry room and a private enclosed outdoor shower area. 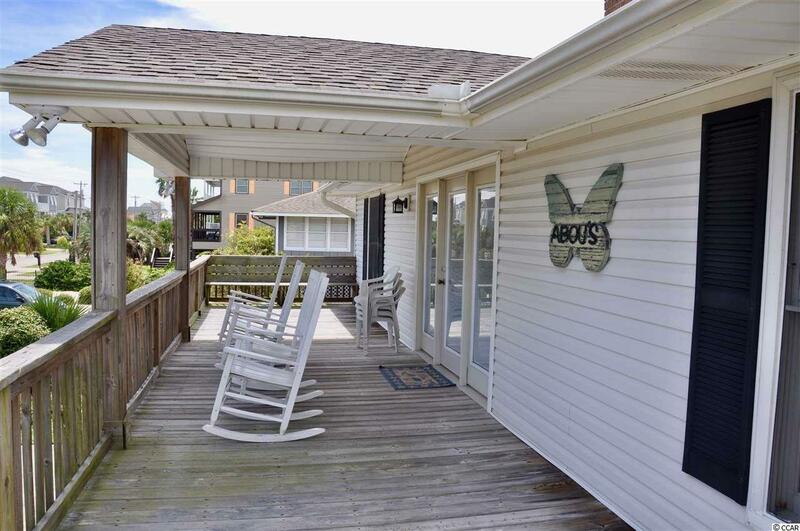 The home features full width front and back covered porches for sunset or ocean view. This is a full lot/not a common half lot and the lot is 75x190. There is room for a pool in the front or the back yard! There is also a separate covered, locked and alarmed golf cart parking under house. This home features a real wood burning fireplace, open floor plan and a Carolina Room toward back porch. Approximately 1/4 mile South of Marina and Gulf Stream Restaurant. The owner also own slip 54 at Marina and are willing to sell the slip with the home. See your agent or the listing agent for details. There is a huge benefit if you are a boater! Marina is walking distance; however, most use golf cart in our golf cart friendly community. New roof in 2013, HVAC replaced in 2011, Water Heater replaced in 2013. NEW FRONT DECK 2018. 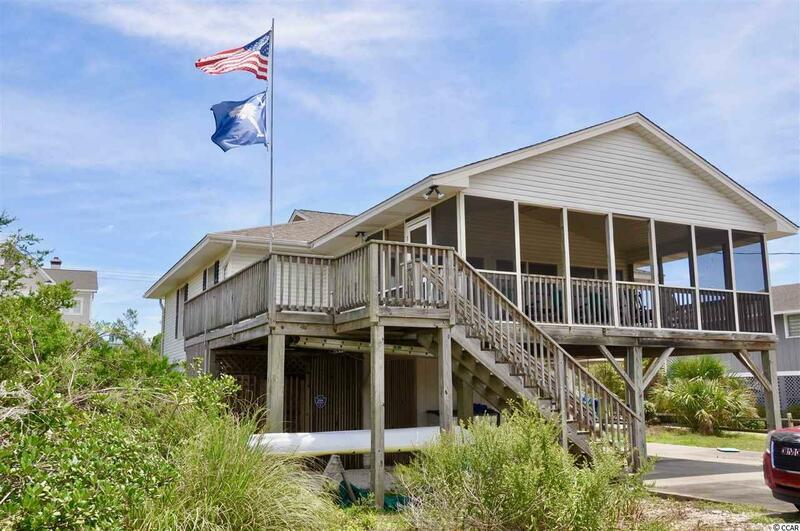 If your looking for a second or permanent home that is affordable then look no further and arrange private showing of this specatuclar second row beach home in Garden City Beach, SC where there is NO HOA!